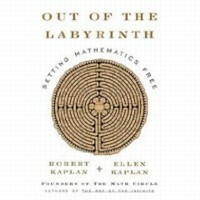 Out of the Labyrinth: Setting Mathematics Free by Robert and Ellen Kaplan (Oxford University Press, 2007). The Calculus Gallery: Masterpieces from Newton to Lebesgue by William Dunham (Princeton University Press, 2004). The Unfinished Game: Pascal, Fermat, and the Seventeenth-Century Letter That Made the World Modern by Keith Devlin (Basic Books, 2008).